We are one of the largest employers in Sussex employing around 10,000 staff who deliver more than 700 services to local residents. Working for us is more than just a job. It’s all about making a real difference to people’s everyday lives. We firmly believe that our staff are our greatest asset and it’s important to us that they are happy, healthy and productive at work. We are an accredited Living Wage employer and offer a range of financial and non-financial benefits to make our staff’s experience working with us as good as it can be. We also believe that our staff can only perform at their best if they work in an inclusive environment based on respect and where there is a focus on objectives, performance and outcomes. Our new Behaviour Framework will ensure that staff performance will be assessed not just on what individuals achieve but also on how they go about it. 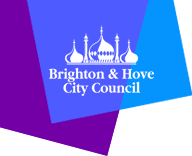 Brighton & Hove is a diverse, cosmopolitan and vibrant city, with deep-rooted shared values of tolerance, compassion and respect and, as an employer, we want to see this diversity reflected in our workforce. We believe that employing a rich mix of people from a range of different backgrounds with fresh ideas and different perspectives is key to enabling us to continually improve our services to the diverse communities we serve. We are committed to ensuring that our recruitment process is as inclusive as possible for everyone and this includes making reasonable adjustments for disabled people.